Continuing with his arguments in the Supreme Court on Friday, senior advocate Shyam Divan made one of the most compelling arguments on civil liberties in Aadhaar case. Divan’s arguments touched upon the constitutionality of the amendment to the Income Tax Act without going into the privacy aspects of the case. Justice AK Sikri and Justice Ashok Bhushan were taken through multiple limbs of his arguments for over an hour. Divan began by making an argument surrounding ‘informational self determination’. He cited rulings of a German constitutional court to explain an individual must have the right to determine what information belonging to him can be used and cannot be used. Divan linked this argument to right to dignity under Article 21. Later he brought in the right to be let alone, differentiating it from right to privacy. The crux of his argument was that if a citizen is aware that he is being watched, he might not dissent and this violates his right to participate in political affairs of the state. Divan also argued that data protection is directly and indirectly linked to human dignity. “Even if you do not put this as a constitutional right, this is a legitimate interest of the citizen,” he said. Divan later explained how there is no privity of contract between the private firm that collects information for UIDAI and the citizen. 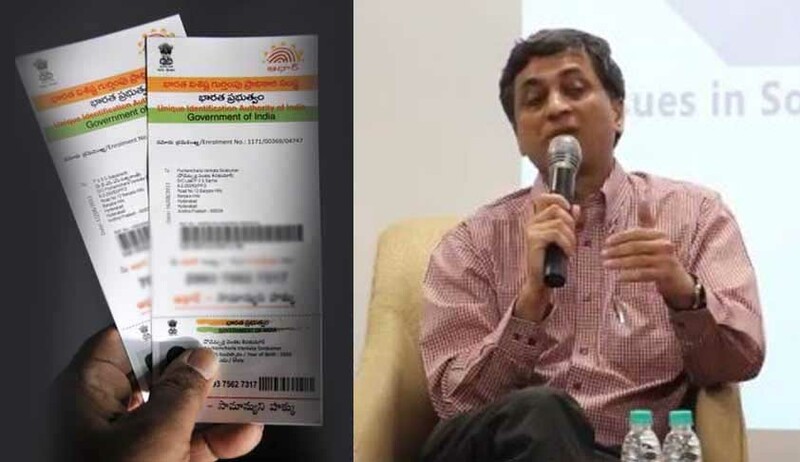 “Why should a private agency have my bank statements (given as proof as identity and address while obtaining Aadhaar)? Can the state force me to part with my private information to a private agency,” he asked. Divan had pulled out a specific page from the UIDAI handbook to registrars under the UIDAI Act and pointed out various loopholes in the law that allows them to store private information and devise their own security measures. Divan then proceeded to cite Bijoe Emmanuel ruling of the court to say that a citizen cannot be compelled to act against his will under Art. 19(1)(a). Justice Ashok Bhushan pointed out that Bijoy was about right under Article 25. Divan pointed the bench to the specific para of the judgment that mentions both the articles. Divan quoted part of a House of Lords ruling, specifically, Lord Atkin’s dissent in Liversidge vs Anderson. According to Divan, this is the only explanation for defending the amendment that the government. “When we say it's voluntary, it means compulsory. Please do not allow the government to make this Humpty Dumpty interpretation,” Divan said. Senior Advocate Shyam Divan was assisted by Advocate Udayaditya Banerjee. a) Biometric information, specifically finger prints and iris scan are intimate parts of a person’s body. They belong to the person, not the State. sensitive personal data or information’. not a charter of servitude. c) The right to life covers and extends to a person’s right to protect his or her body and identity from harm. The right to life extends to allowing a person to preserve and protect his or her finger prints and iris scan. The strongest and most secure manner of a person protecting this facet of his or her bodily integrity and identity is to retain and not part with finger prints/iris scan. d) The right to life under Article 21 read with Articles 14 and 19 permits every person to live life to the fullest and to the enjoy freedoms guaranteed as fundamental rights, constitutional rights, statutory rights and common law rights. e) The constitutional validity of a statutory provision must be judged by assessing the effect the impugned provision has on fundamental rights. coerce persons into parting with their finger prints and iris scan and lodging these personal and intimate aspects of an individual’s identity with the State as part of a programme that is in the petitioner’s view wholly illegitimate and the validity of which is pending before a Constitution Bench. voluntary a person cannot be compelled by another law to waive free consent so as to alter the voluntary nature of enrolment that is engrafted in the parent statute. The right of a resident under the parent Act cannot be converted into a duty so long as the provisions of the Aadhaar Act remain as they are. This clash or collision between section 139AA and the Aadhaar Act renders the impugned section unworkable, unreasonable and void because of a discriminatory object. The provision is violative of Articles 14, 19 and 21. Converting a right into a duty is colourable exercise of power. h) By visiting a conscientious objector (such as the petitioners) or any other person who does not have an Aadhaar number with severe consequences, the object of the impugned provision is itself discriminatory and violative of Article 14. There is no justification for discriminating against persons who do not wish to part with their sensitive biometric information such as finger prints and iris scan. i) The impugned provision in effect treats an individual’s finger prints and iris scan as belonging to the State, blurring the distinction between the individual and the State. The impugned provision reduces to a mirage the voluntary nature of enrolment carried out under the Aadhaar programme and the Aadhaar Act. It compels Aadhaar enrolment which is directly in conflict with the Aadhaar programme, the Aadhaar Act and orders passed by this Court. qua a person and his body. k) The State cannot hold an individual citizen hostage, by compelling them to part with something that does not belong to the State. l) In a digital world, the right to life includes maintaining personal autonomy through informational self determination. An individual must be allowed to limit what he or she wants to put out because otherwise her personal autonomy could get compromised. m) The coercion amounts to compelled speech. The freedom of speech includes the right to remain silent. Here, the citizen is being compelled to speak or part with his or her demographic information as well as finger prints and iris scan. The impugned provision violates Article 19(1)(a) and is not saved under Article 19(2). n) The impugned provision is wholly disproportionate and excessive. The so called State interest is miniscule compared to the massive invasion on person liberty and freedom. o) The State has no legislative competence either under Entry 82 of List 1 or any other source of legislative power to nationalize and secure dominion over personal and individual finger prints and iris scan. p) Whenever a person voluntarily entrusts his finger prints and iris scan to the State, the ‘property’ and entitlement is retained with that individual throughout his life. The State merely acts as a trustee or fiduciary. The trustee or fiduciary cannot compel the “beneficiary” to part with such sensitive person information. q) The framework of the Aadhaar Act and the Aadhaar programme is founded on voluntary enrolment. This is a foundational premise of the programme. According to the State “free informed consent” is the essence of Aadhaar. The State cannot alter this basic premise based on which individuals were asked to enroll. lend itself to identity theft by which the person whose biometrics are compromised would suffer civil death. s) Under the Income Tax Act, PANs are also assigned to children. The impugned provision coerces these individuals, who are below the age of free consent, to part with their fingerprints and iris scans.